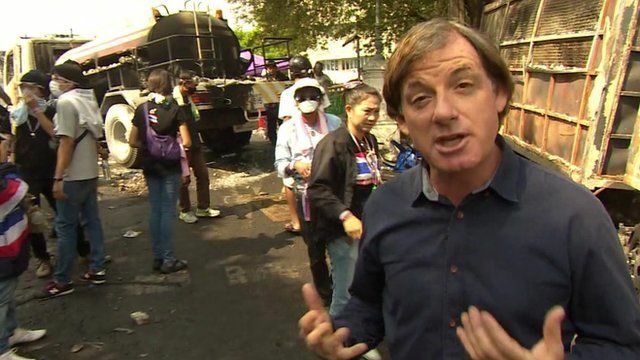 'The fire has gone out of their fight' Jump to media player The BBC's Jonathan Head reports on a calmer mood in the Thailand capital Bangkok which follows clashes over the weekend and on Monday. 'Different mood' to Thai protests Jump to media player Police in Thailand have removed barriers around their headquarters, after protesters said they were targeting the police building. The BBC's Jonathan Head reports on a calmer mood in the Thailand capital Bangkok which follows clashes over the weekend and on Monday. 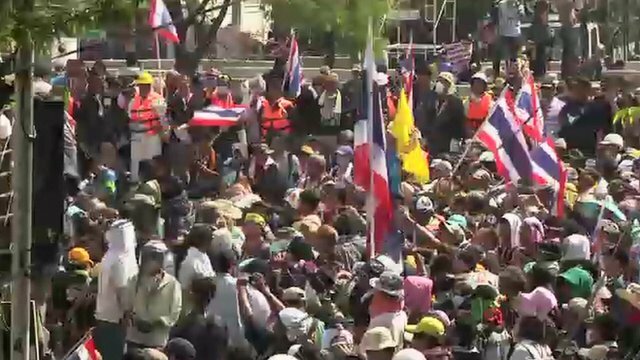 Thai protesters have entered the government's headquarters after police removed barricades from outside both Government House and the police office. According to Jonathan Head "what has been a very tense confrontation has suddenly turned into something a bit like a family picnic".